Mr. Bozarth is Board Certified in Real Estate by the Florida Bar. He represents clients in the areas of commercial real estate development, sales and purchases, leasing (landlord and tenant), secured and unsecured lending, zoning, land use law, commercial loan transactions, title insurance and like-kind exchange transactions. Mr. Bozarth received his undergraduate degree from Wake Forest University (B.B.A. 1965) and his law degree from the University of Florida (J.D. 1968). While serving as a captain in the United States Army from 1969 through 1973, he was in the Judge Advocate General’s Corps (Legal Branch), functioning primarily as a trial attorney and in the areas of administrative and procurement law. Mr. Bozarth enjoys a peer rating of “AV” in the Martindale-Hubbell Law Directory and is a Florida Bar Board Certified Real Estate Lawyer who specializes in zoning, land use, real estate leasing, real estate related loan transactions and matters involving the purchase, sale and development of all types of real estate. He is listed in Chambers U.S.A. America’s Leading Lawyers for Business, Florida Super Lawyers Magazine and has been listed for fifteen years in Best Lawyers in America® in the area of real estate law. He has been named as one of Orlando’s best real estate attorneys by Orlando Magazine and has also been named as an outstanding real estate attorney in Florida Trend Magazine’s Legal Elite and in the Orlando Business Journal’s Best of the Bar. Mr. Bozarth has been active on several committees of the Orange County Bar Association. He served as Co-Chairman (1980-1981) and Vice-Chairman (1987-1988) of the Real Property Committee of the Orange County Bar Association and served as Vice-Chairman (1984-1988) of the Fee Arbitration Committee of the Orange County Bar Association. Mr. Bozarth serves as a member of the Board of Directors of The University Club of Orlando. He has spoken on real estate related matters in programs sponsored by The Florida Bar, the Orange County Bar Association, the Orlando-Winter Park Board of Realtors, and Professional Education Systems, Inc. Mr. Bozarth is a past Chairman and a past Vice Chairman of the Orange County Planning and Zoning Commission and the Orange County Local Planning Agency. 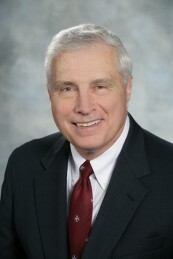 During his six years of service on the Orange County Planning and Zoning Commission and the Orange County Local Planning Agency, Mr. Bozarth served as Chairman of the Orange County Ad Hoc Concurrency Review Committee, and as special liaison between the Orange County Local Planning Agency and the Orange County Development Advisory Board in connection with its consideration of the Orange County Ordinances dealing with vested rights for consistency and concurrency. Additionally, during his term of service, Mr. Bozarth served as Chairman of the Orange County General Zoning Work Group and liaison between the Local Planning Agency and all work groups preparing proposed revisions to the Orange County Land Development Code.